Thanks to a partnership between Microsoft and Sling TV, Xbox One owners can finally cut the cord on their cable television. Kinda. You'll still need a high-speed Internet connection, which usually comes from a cable company. So, you might want to hold off on any cord cutting. 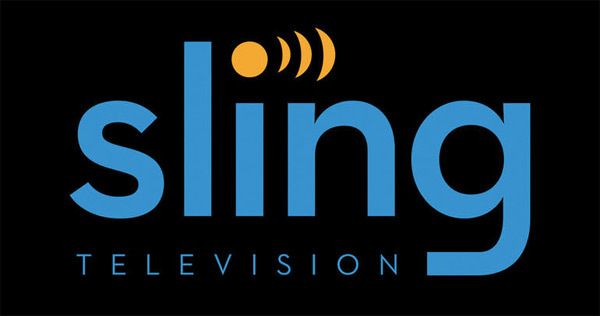 According to Sling TV's website, the service is a low-cost alternative to cable TV. For 20 bucks a month, subscribers get access to cable channels like AMC, TNT, Cartoon Network, and the Disney Channel. Plus, sports fanatics will be happy to know that ESPN and ESPN 2 are part of the basic package. If you're addicted to news, sports, or movies, Sling offers a handful of add-on packages to satisfy your weird urges. And the "Kid's Extra" package will give your children five more channels, so they'll leave you alone while you download cat videos from Reddit. Sling TV CEO Roger Lynch is eager to get the newly minted application into Xbox One Owners' hands. So, right now the company is trying to entice potential users with an "exclusive, extended free trial." For the next 30 days, you could be streaming The Walking Dead and Adult Swim without denting your bank account. With Sling TV, our customers get access to live TV at a low price, plus the flexibility to customize their TV experience so they can choose content that matters most to them. And, customers aren’t locked into a long-term contract like you get with traditional pay-TV providers. Microsoft's Major Nelson interviewed Lynch for Xbox Wire, but the article reads like a text-based commercial. During a particularly manipulative passage, Lynch mentioned that Sling TV partnered with Microsoft because the two companies share a consumer base. Though, I get the feeling that Sling wouldn't mind having Sony in its corner as well. We built Sling TV with millennials in mind, and that includes gamers. Xbox has been at the forefront of gaming and technology for years, so it made sense to bring Sling TV to the passionate Xbox user. For many millennials, Xbox One is already the center of their living room experience, and we want to reach these fans to show there’s a better way to get live TV that doesn’t require a long-term commitment, high programming costs, additional wires or hidden fees. This kind of streaming service is probably perfect for a certain kind of person. If your Internet connection isn't tied to a cable company, for instance, this would give you the ability to enjoy live NBA games without having to shell out the cash for a full-service cable package. But for anyone who isn't interested in live television, Sling TV doesn't feel like the glass slipper that Microsoft and Sling would like it to be. Premium channels like HBO and Showtime aren't available, even with an add-on, and on-demand services like Netflix and Hulu Plus don't force you to follow the network's programming schedule. Would you subscribe? Lets talk about it in the comments.